Ever since the days I played in 'the Jukes' with Pete Hoggman ... the guy who did the 'My Boy Lollypop' harp solo ... I have been fascinated, and gigged many times as a harmonica player. I can't get anything out of it tbh, no matter how hard I blow. Yes, I absolutely love blues harp but never gigged one because I'm not as confident on it as I am on guitar. I got into it mainly from listening to Captain Beefheart and then Sonny Boy Williamson, Howlin' Wolf and most of those other blues legends. Blues jams are the way to get your playing into shape. That and concentrating on tone over noodling about. 'Hoggie' imparted the wisdom to me that a few considered notes with the right 'attitude' beat trying to be a one man band. Over playing is the enemy of good harp. Ash, what brands do you use? I have a few suziki folkmaster (really nice harps. A nice B flat Lee oskar (for my Ryan Adams stuff) a few Huang and some hohner pro harps.Also a few cheapies. I have a shure green bullet but find it too big .. Pro harps are good but I seem to blow em out in five minutes. I adored Huang ... can you still get em and where? Cheap as chips, at least they used to be ... but good I used to find. I use Marine Bands mostly. Would you recommend the Lee Oskars over them? I was given similar advice about not over playing by a mate of mine I used to jam with and it definitely helped take the pressure off. I was able to concentrate more on the 'attitude' and feeling. I hate the wood combs on some Hohners ... swells and catches your lips. I also find the reed plates are tight and gunk up really easily. I soak my harps for volume and bendability ... and have been known to spit vodka through Marine bands to clean em out! Kee Oskars seem to take more blowing in ... but also seem to last longer. Big old chambers need puff on some of the lower tuned ones. Is the telephone mic similar to an old crystal element mic... (probably the sort of thing I need)... yes I have pretty small sausage fingers! The huang harps I bought in Germany for about 5 Deutsch marks, when i lived there,many moons ago! The Lee oskars are very good you certainly get what you pay for! Love the fact you can get all the parts for em ... if you blow one reed plate out you can just bang a new one in and truck on. And yes a phone mic seems to have the right 'distortion curve' ... sixties and seventies phones are cheap enough on the flea bay ... they look cool too. 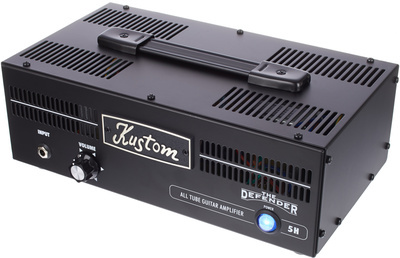 What amp are you using Mark? Ash, with regards to harp and amps. .. I pretty much play acoustically (straight into a standard mic) bit of reverb. I have 11 different keys and pretty much jam anything from rock, country, indie, folk , reggae. If I have the key I'll play it, played with a lot of different styled musicians. . I have dabbled in the blues and just played through an old korg a ax1500g. Or just put it through a digitech screaming blues with a Morley volume pedal. . I have also recorded and did a local radio spot thru my zoom ms70cdr on a particle verb setting,totally wet. ...sounds like a choir of angels, get a lot of people asking 'what the hell was that'. ..In a good way. ..
For anyone who is interested if you type in 'THE MAN by MOOD ELEVATOR' on YouTube. Never tried the Folk Masters. £18 is reasonable. I'll give them and the Lee Oskar a go. Spent quite a lot of time learning to play the harp because I thought it would be a good idea to have an instrument I could play without amplification as I don't much like acoustic guitars. Eventually realised I don't really like harmonica either, unfortunately. @Viz - How do you even get into playing the harp? Looks amazing! I think you have to be a demanding teenage girl to start with, that's what we found anyway. 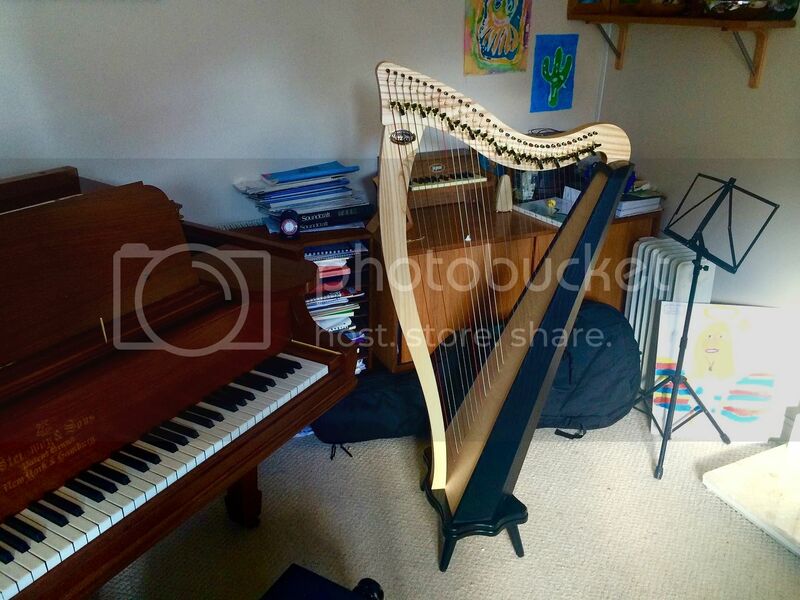 Then find a harp teacher and just do the grades and do school orchestra etc. The strings are colour coded and you can use the cam pegs at the top to raise certain strings by a semitone or tone to get different modes in whichever key you want. This is a starter harp. On proper ones you have 7 pedals rather than pegs at the top. I think you have to be a demanding teenage girl to start with, that's what we found anyway. Then find a harp teacher and just do the grades. lol, ohhh right. It's not yours, your daughters?? 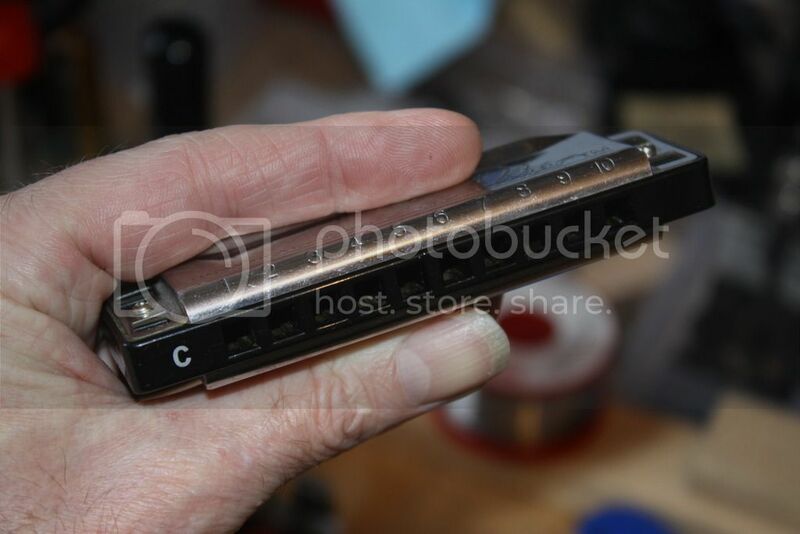 It's a good idea for beginners to buy a harmonica. Listening to harp players is a good start to get the feel for it and to realise that it's a very expressive instrument. As Ash says you shouldn't over play it, just concentrate on the sound and not so much on the notes.